Montepulciano d’Abruzzo – The best Montepulciano wine in Aus under $30! No, we aren't talking about the town you visited last time you were in Tuscany. Monepulciano is the name of a vigorous red grape variety planted over much of central Italy. The grape variety is recommended for 20 of Italy's 95 provinces but is most widely planted in Abruzzo, where it is responsible for the often excellent value Montepulciano d'Abruzzo, and in the Marché where it is a principal ingredient in such reds as Rosso Conero and Rosso Piceno. We might be a little bias but this wine gets better and better with every vintage that rolls around. I love a good textbook, old school Monte. Easy to drink with soft velvety tannins, black pepper notes and red and purple fruit making it round and luscious but so easy....Really good cheap and cheerful wine. 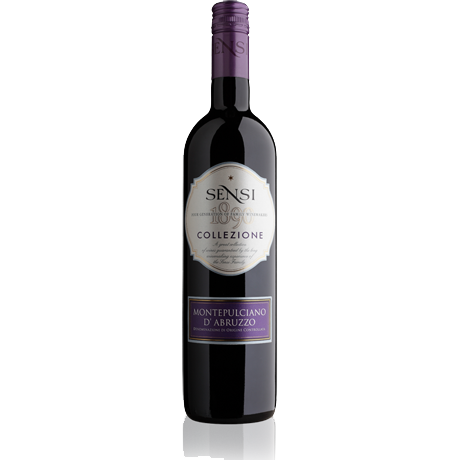 ﻿With 125 years of wine making under their belt, Sensi really knows how to make delightful wines. This is the kind of wine people put cases of into the cellar and bring out when people come over as it's a real crowd pleaser. It has an intense red colour, a fruity flavour with hints of red fruits, typical characteristic is the liquorice bouquet. Enjoy this wine with roasts, meat and aged cheese. ﻿Winner of tre biccieri with Gamberro Rosso, this is a superb Montepulciano d'Abruzzo. Medium to full bodied the palate possesses a generous almost joosy like flavour profile of ripe dark cherries and dark plum with some leathery overtones and a spicy back palate. Very fine grained tannins. Good depth with medium to long ripe dark cherry, earthy leather and spice aftertaste. ﻿Fantini has won the accolades of "Best Italian Producer" for years by Luca Maroni (who is the James Halliday of Italy) and Mundus Vini so I feel their wines have to be mentioned here. Very typical Montepulciano with a ruby red colour with garnet highlights. Intense, persistent and aroma of wild berries. It is full bodied, well balanced, slightly tannic with a clean aftertaste. A very good example. So, which of these have you tried? The most popular of our vino! 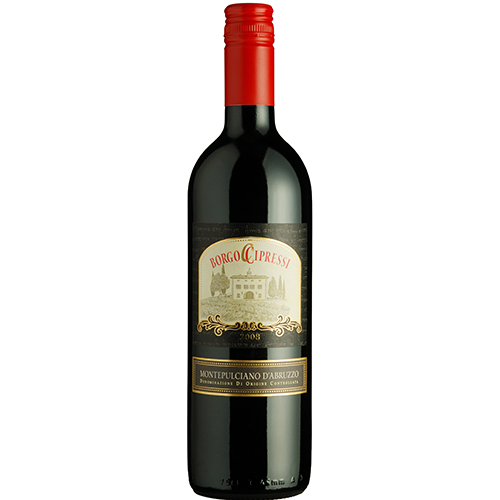 It has an intense red colour, a fruity flavour with hints of red fruits, typical characteristic is the liquorice bouquet. Enjoy this wine with roasts, meat and aged cheese. Tastes similar to an Aussie Shiraz! Inky blackish-purple with a garnet edge. It s fresh and ripe with subtle black cherries and delicate hints of spice and something like tart cranberries in the flavour; a luscious soft sensation on the first taste quickly gives way to mouth-watering, food-friendly acidity that lasts into a long, clean finish.